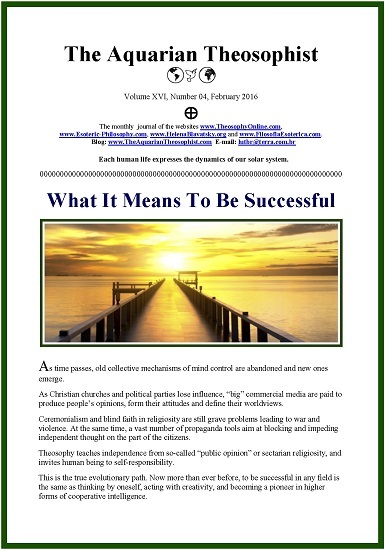 Page one presents the note “What It Means To Be Successful”. On page 2 the reader finds “The Karmic Equation: Sometimes the Sources of True Happiness Remain Hidden”. 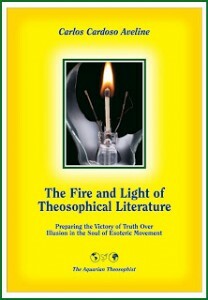 On p. 3, “The Masters, On Who Is Capable of Searching for Wisdom”. Pages four and five present a poem by Ella Wheeler Wilcox: “You Never Can Tell”. On pp. 5-6, “Donald Trump, Theosophy and the Practice of Vaccination”. * From the Golden Verses of Pythagoras. The 19 pp. edition concludes with the list of new texts in our websites.